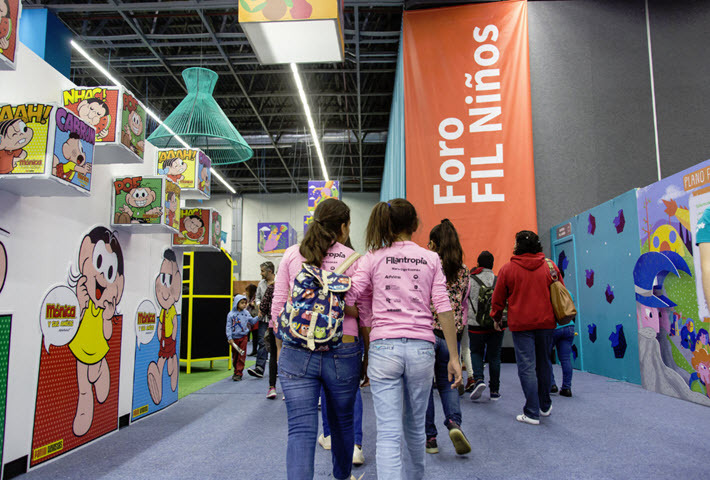 The 32nd edition of the Guadalajara International Book Fair opened Saturday (November 24) with more than 300 Spanish publishing houses and institutions represented, according to the Federation of Publishing Guilds of Spain (FGEE). The organization has organized a collective stand at Guadalajara comprising work of 59 publishers and institutions from Spain. 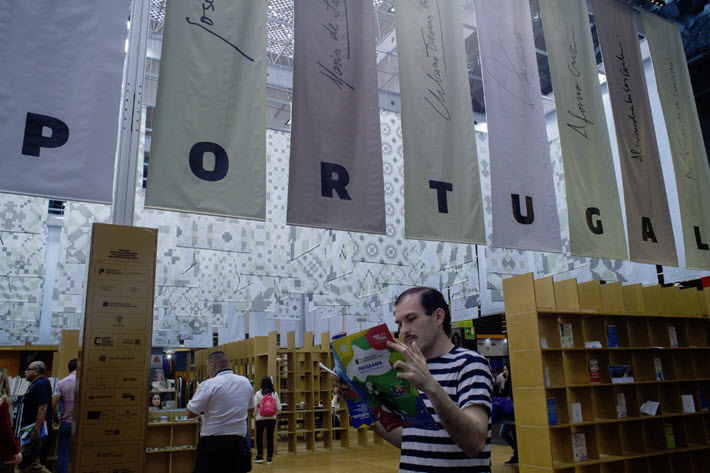 In addition, the publishers’ group reports, 218 Spanish publishing houses have their own stands—or will be represented in combination with others—in the sprawling fair, which this year welcomes Portugal as its Guest of Honor. An additional 74 Spanish companies are expected to be represented, according to media messaging, in relation to distributors in Latin America. In news materials, the Spanish publishers federation compares the value of the Guadalajara event to that of Spain’s LIBER book fair program, as “one of the great opportunities to establish business relationships with large buyers” and companies including distributors, bookstores, libraries, and others. 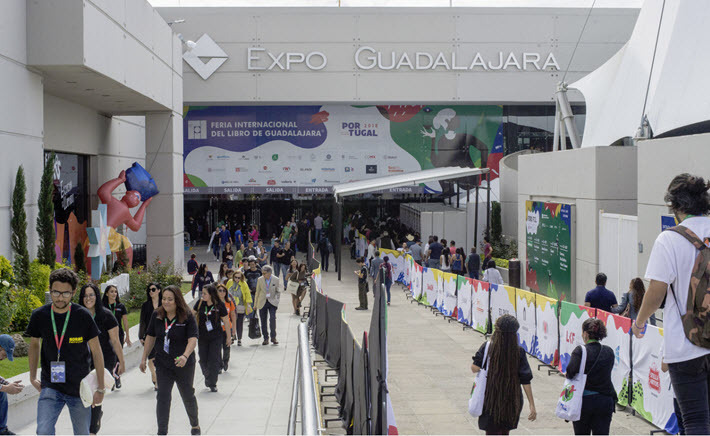 “As a meeting point for the sector,” the organization’s material says, the Guadalajara event “takes the pulse of the book world beyond our borders. In fact, Mexico is the Latin American country that gets the highest volume of exported titles from Spain, the federation reports, “followed by Argentina, Brazil, and Chile. In Mexico alone, the federation says, Spanish publishing houses in 2017 sold a total of €58 million (US$65.8 million) in books, revenue derived from the sales of 13,525,167 copies. In Argentina, exports last year weren’t far behind, amounting to €51 million (US$57.8 million) from sales of 15,480,074 copies. And in Brazil, 2017 saw Spanish publishers earn €12 million (US$13.6 million) from sales of 2,948,997 copies. In the Spanish market, the federation reports, the book publishing industry is a €3 billion business (US$3.4 billion), employing more than 30,000 people, either directly or in associated businesses. The federation’s own membership includes 840 companies, which are said to represent some 97 percent of the industry there. In 2017, the federation reports, Spain’s books industry released 87,262 titles, averaging sales of 2,753 copies each. Total sales in units surpassed 240 million copies, according to media messaging. We’ll have more to come from this year’s Guadalajara fair as it runs through Sunday (December 2). Events at the fair have included an opening-day tribute to the late playwright and poet Fernando del Paso, with a performance of his stage work Death in Granada. More from Publishing Perspectives on the Guadalajara International Book Fair is here, and more on book fairs in general is here.